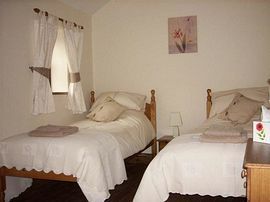 The cottage is tastefully converted sparing no expense to provide a extremely comfortable open plan cottage, which provides the convenience of the up to the minute appointments with the comfort and character of the original building. With underfloor heating and a wood burner for those cosy winter nights. The luxurious fully tiled shower room has a spacious level access shower with unlimited hot water and underfloor heating. 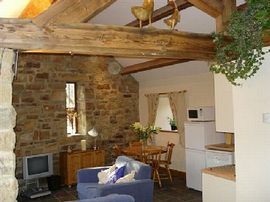 The fully fitted kitchen contains dishwasher, oven, hob, microwave, fridgefreezer, washer/dryer is in the outbuilding. 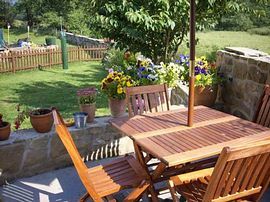 Patio doors lead out to the patio and garden which overlooks the river and moor, with BBQ for those warm summer days. We are approx 17miles West of Whitby along the lovely Esk valley. 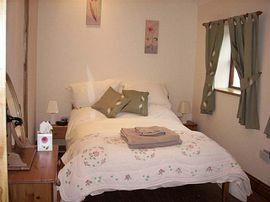 Ideal location for walking, cycling or touring by car and visiting York, NYMR, Heatbeat Country and of course Whitby. Tastefully converted with no expense spared. Per Week £260.00 - £500.00. Open all year, with three night breaks in the low season.